Click to Ask Rob Your Question! A Nurse Call System is a low-voltage emergency response system that fits into the "Life Safety" category. Nurse Call is used to notify staff that there’s a need for assistance. These systems are typically used in nursing homes, hospitals, clinics, and other healthcare facilities. As technology advances so do nurse call systems, however, many older systems are still being used and installed. With emergency response systems, like Nurse Call, time is of the essence. 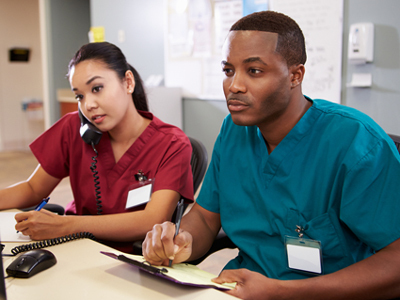 Supervision is now a mandatory requirement for Nurse Call systems under UL 1069 Edition 7. "The fuses in a code call circuit and a centralized system control unit shall be electronically supervised." "The maximum time from the occurrence of a fault or adverse condition in any communication path is 90 seconds." (UL 1069 Edition 7) UL has recognized this flaw in technology and realizes the importance of supervision. Unfortunately, there are still many UL listed systems without this important feature. Since many of the older systems were UL listed in the past, and the technology didn’t provide supervised circuitry, they have been "grandfathered" in and are still UL 1069 certified. These systems are still in many facilities today and are being installed in new facilities. Although the reasoning is unclear as to why a non-supervised system would be UL 1069 certified under the new requirements, they are. It is frustrating that these systems are still being specified and installed in new facilities. The technology is available and there are many systems out there that can meet and exceed this very important requirement. It is highly recommended that these supervised systems are used in all new construction and remodels. Our SmartCare technology is fully supervised and the cost is very similar to that of a non-supervised option. It is a wise decision for an architect or engineer to specify a product that is supervised. No one can prevent the occurrence of falls or other dangerous situations, but at least we can be confident that the notification system will work. Since it is fully supervised, you can be sure that the SmartCare Solution is always "Protecting What Matters." Click for more information on the SmartCare Solution.